My friend Adam gave me a set of shorty fenders yesterday and I think they’re a nice addition to this project. A Western Flyer branded British 3 speed seen on the street. The orange/rust colour makes me think it might be a Dunelt. Check out Vintage Bikes RI. I’ve pretty much finished the work on this bike and have been riding it quite regularly. I’ve shortened the handle bars by about 1″ on either end and swapped out the brake levers. Along with the bars I, added a new (used ) stem. Both items from the Community Bicycle Network on Queen. I had some NOS cables in the garage and replaced all of the old ones including the old style shifter cable with a NOS pulley on the seat post. All that’s left to do is to true the wheels and, if I can find them, add some little mini chrome fenders. 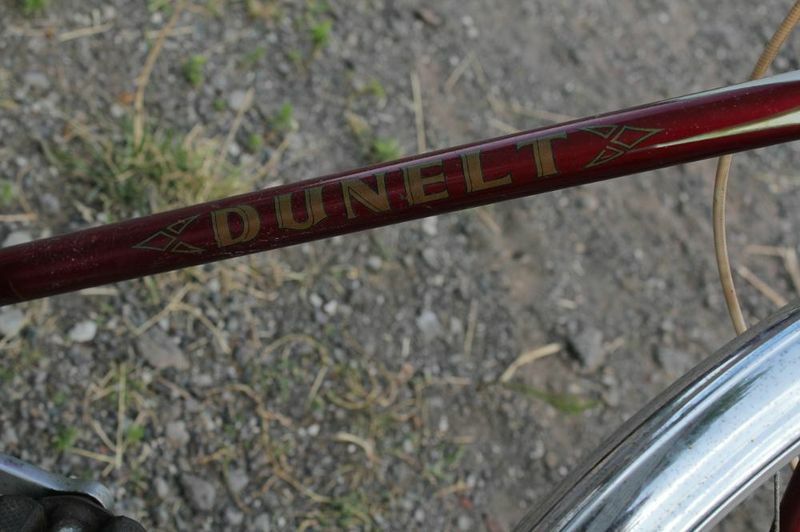 The name Dunelt is a combination of the names of two founders, Dunford and Elliot. Originally steel makers in Sheffield, started making motorcycles in Birmingham in 1919, many having Sturmey Archer engines and gearboxes. 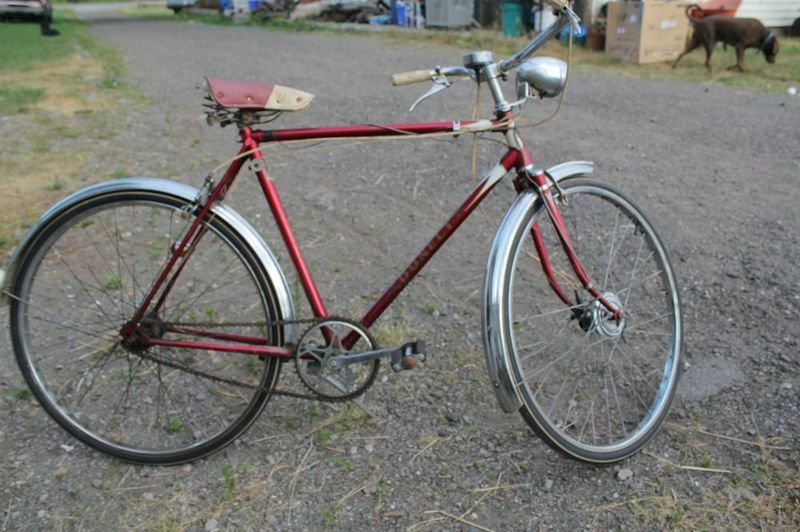 I bought this bike for $50.00 in Hamilton a while ago and have been trying to modify it. I still want to swap out the handlebars for something not as wide. I’ve added a vintage Wrights composite saddle and a period pump (a gift from Len at Mr. Used in Hamilton). 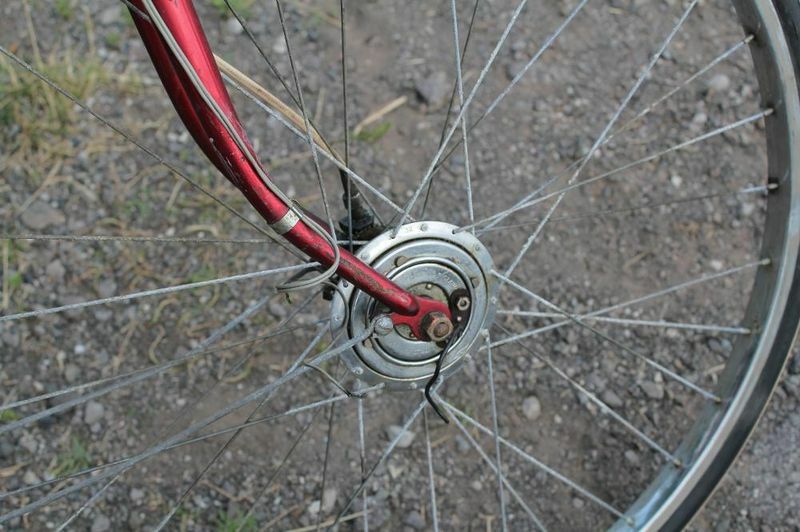 The Dunelt slogan was “Ride Awheel on Sheffield Steel”. After a day of riding I found the inverted bars too hard on the wrists and have swapped out the bars yet again. The bike as originally purchased below. I believe these were also made by Raleigh.